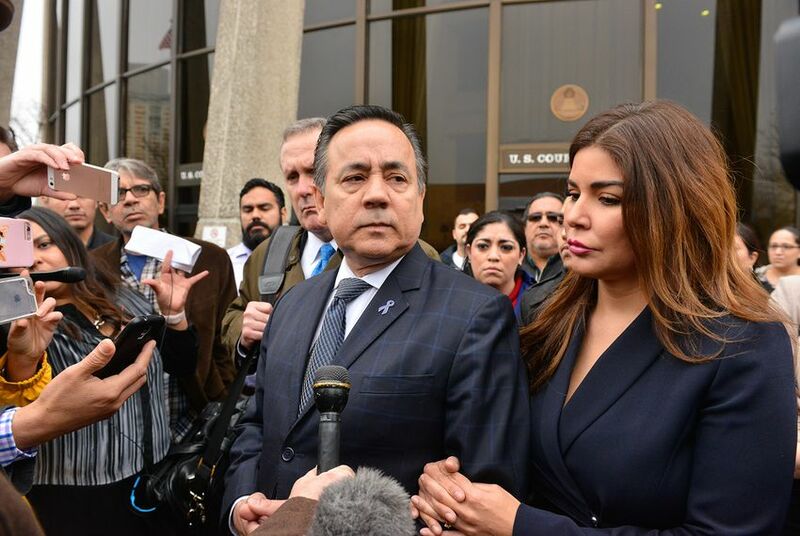 The commission said Uresti improperly disclosed income from FourWinds Logistics, the Ponzi scheme that earned him 11 felony convictions last month. On the heels of 11 felony convictions, bipartisan calls for his resignation, an intra-party challenger for his next election campaign and his wife of six years filing for divorce, state Sen. Carlos Uresti on Friday got insult added to injury with a $500 fine from the Texas Ethics Commission. The commission fined the San Antonio Democrat for failing to properly disclose on his personal financial statement income related to FourWinds Logistics, the Ponzi scheme that got him into legal trouble last year. The fine comes less than a month after he was found guilty on all counts of fraud and money laundering. Uresti served as general counsel for FourWinds — a now-bankrupt oilfield services company — and owned 1 percent of the company. He also earned commission for recruiting investors, according to court documents. Of the three violations it investigated, the Ethics Commission found credible evidence of only one violation: that Uresti failed to properly report a $40,000 promissory note from FourWinds to Uresti’s law firm. That promissory note featured prominently in last month’s criminal fraud trial. Uresti faces sentencing for his FourWinds-related convictions in June. And he’s set for trial in federal court in May on unrelated bribery charges.